The success of a story or article doesn’t just only rely on how well it is written. At times, an equally amazing illustration is also much needed to pique the interest of the readers and reel them in. Other than reeling the readers in, an illustration also contributes in helping the viewer to further visualize or at least get the gist of what the article is about. Today we are going to take a look at the amazing illustration of Jon Reinfurt. A graduate of illustration at the University of the Arts in Philadelphia and a recipient of numerous illustration awards and recognition from known publications such as Society of Illustrators, Communication Arts and American Illustrators. His inspiring illustrations and paintings also graced a number of publications and galleries around the country. His clients range from publications such as Reader’s Digest Asia, Runner’s World, READ Magazine and the Wall Street Journal. 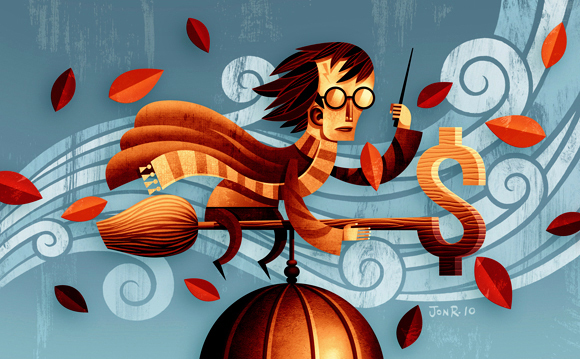 Apart from creating beautiful illustrations, Jon also teaches an illustration course at UArts. If you guys would like to see more of Jon Reinfurt’s wonderful illustrations be sure to drop by at his blog.